Beautiful First Ward home with only a short walk to Uptown activities and amenities. This 4 bedroom home has open floor plan with huge kitchen featuring a central island. New double stainless oven and gas cooktop just installed. Kitchen flows to large family room with gas fireplace and tons of built-ins. Walk up the open, circular staircase to large master suite with tray ceiling and large master bath, which features separate vanity spaces and garden tub. Large secondary bedrooms have ample storage. 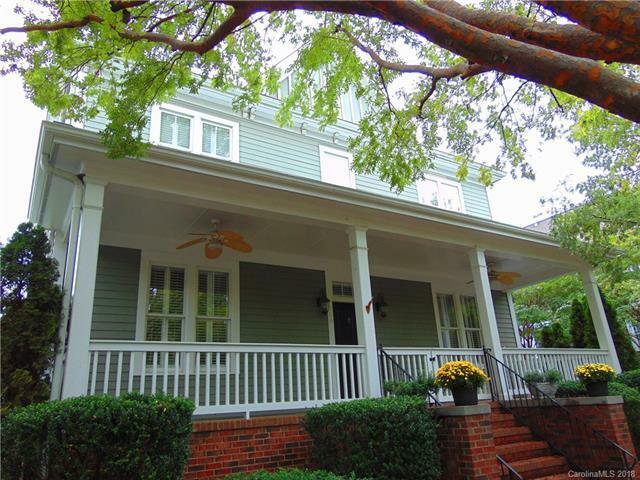 You will enjoy sipping wine on the 8'x35' front porch that overlooks 9th Street Linear Park. Terraced and fenced back yard enclosed by electric metal gate features flowing pond and slate patio. One of the few properties in Uptown Charlotte with a 2-car detached garage!